1807ACL0456 Beautiful land with view of Mekong River and Laos, land area 5-0-8 Rai included with Golden Teak age 18 years old about 500 ea. Located at Chiang Kharn, Loei Province, on the northeastern of Thailand. Land Width 33.4 m. Length 289 m. closed to the community and tourist attraction. Buyer can get profit from golden teak wood or in the future to invest for accommodation business such as resort for support many of tourist around there. Selling Price 8,300,000 Thai Baht. 1. Closed to many of tourist attraction in Chiang Kharn. 2. To get income from golden teak immediately. 3. Land situated from Mekong River only 20 m.
M5551 Land Plot Area 8-3-73 Rai. on the Highway Road (Mae Tang-Fang) Chiang Mai Province, the land has been filled. This attractive flat land is higher than the highway road for 1 metre, cleared landscape and ready for construction. Land Width 141 metre on the Highway Road and length 106 metre. Selling Price 26,797,500 Thai Baht. 1. The land closed to highway road, flat land and higher than the highway road for 1 metre. Suitable for business such as Accommodation Business, Gas Station or Warehouse. 2. Located on Main High Way Road Mae Tang-Fang km. 26-27, with the many of tourist attraction on this area, the investor can be consider for business that can support the tourist. 3. The land higher than another land on that area, no need to filled. This is the one of good choice to invest. 1. Located next to Naresuan Maharat Camp. 2. Opposite to Ban Pak-Kwang School. 4. 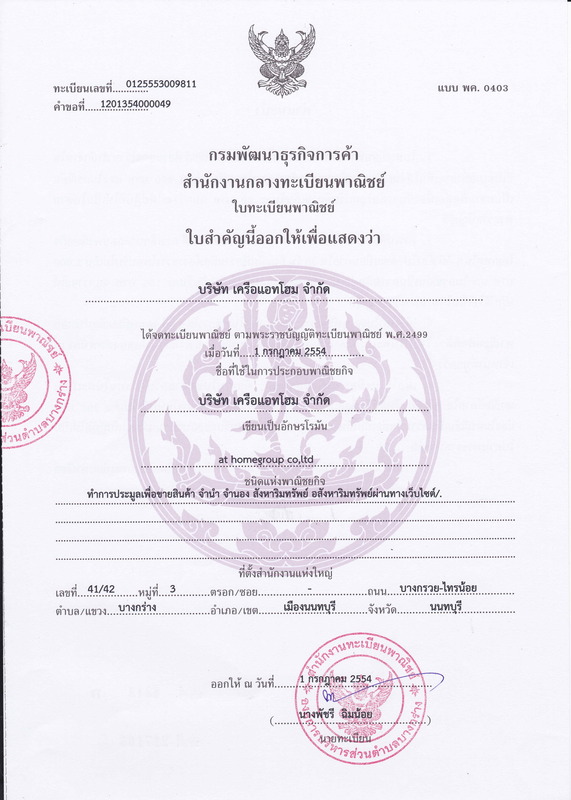 ห่างจากตลาด แม่มาลัย 7 กม. 4. Far from Mae Malai local market 7 km. 1. The Land close to highway Road and opposite Chiang Mai RajaphatUniversity , Mae-Rim Center. 2. Closed to Highway Road Chiang Mai – Mae Rim, surrounding with community and The Government Service Center, Perfect Place for Dormitories Business for support student and staff of university. 3. In the near future, Many of students will be move out from City Center at Chiamg Mai to Mae Rim Center as per the policy of University. Then for the investor who interesting to investment should be consider and planning for business support for all students and staff. 1. Chiang Mai Rajaphat University –Mae Rim Center 500 m.
ที่ตั้ง ถนนเพชรบุรีตัดใหม่ (ใกล้แยกอโศก-เพชรบุรีตัดใหม่) เขตราชเทวี กทม. Address New Petchaburi Road, Ratchathewi, Bangkok. M5554 Land 80 Rai with Teak House and Teak Plant, Located at Highway Road of Mae Tah-Lamphang, in the community of MuangLamphang. This perfect land for investment such as Resort, Hotel, International School, Retirement Service House etc. Beautiful Teak House area 350 sq.m. and 28,000 of Teak Plants for 20 years old. Land Width 150 metre on the highway road and length for 250 metre. 1. The Land located on the highway road Lamphang-Mae Tah, in the Mae Tah City and very convenience for the transportation. 2. Lovely pond behind the Teak House included with natural environment for peaceful living. 3. The nice big teak house with perforated design and the main house entrance made by teak wood. 4. ต้นสัก อายุ 20 ปี จำนวน 28,000 ต้น มีจำนวนมากที่ใหญ่กว่า ตัวคนครับ … แค่ไม้สัก ก็ได้เงินคืนมากๆแล้วครับ …. 4. 28,000 of Teak Plant old 20 years. sobigger than the man. The break- even point of Teak Plant that are so valuable. 1. Far fromLampangRajaphat University 6 km. and 6 minute by car. 2. ห่างจาก ตัวเมืองลำปาง 11 กม. 2. Far from Lampang City for 11 km. 3. Far from Community Health Care for 2.3 km. 4. ใกล้กับวัดม่อนธาตุ และ วัด กล้วยหลวง 3 กม. 4. Closed to Monthat Temple and KuayLuang Temple for 3 km. M5160 Land area 11-0-2.2 rai is a large land 116 m wide, behind the mountain is high no need to build a resort. Vacation Accommodation Front Street The scenic route is in Khao Phra, Muang Nakhon Nayok, Nakhon Nayok. Sale price is 15,000,000 baht. 1. High land without recreating the beautiful view behind the mountain feng shui. 2. A land plot. Ideal for the business of holiday homes or the allocation of sales. 3. Comfortable front of the land. The road is a tourist route. For a scenic drive and for cycling. Only 5 km from Nakhon Nayok town. 4. Near the way to the school. 1. Nakhon Nayok Town 5 km. 2. Wat Khao Phra 2 km. 3. Wat Jitti Phisri 1 km. 4. Siam Global House 1 km. 5. Royal Thai Army Academy 4 km. 6. Near the shortcut to Khao Yai. M5367 Land Plot 100sq.w. land size: width 15 m. / length 27 m. located at SoiNimith-mai 64, Samwa-tawan-ork, Klongsamwa (Minburi) Bangkok. The land area and surrounding area are very clear space and too shady, suitable to build the house. The Road in front of the land width for 6 m. Opposite is the Garden, next from the land are many of houses but quiet and safety, peaceful for living area. Selling Price for 1,800,000 Thai Baht. 1. This is the flat land and no need to filled, very clear area. 2. This living area, perfect for build the house. 3. Very convenience for transportation, far from Lamlukka Road only 5 km. and close to Motor Way (Bangna-Bangpa-in) , also close to shopping mall & Market Community such as. Lotus Supermarket, Big C Supermarket, HomePro and Local fresh market at Lamlukka. 5. ห่างจากถนนนิมิตรใหม่ เข้าซอย เพียง 1 กม. 1. Tesco Lotus Supermarket Klong7 for 5 k.m. 2. ทางด่วนวงแหวนกาญจนาภิเษก ( คลองห้าลำลูกกา ) 10 กม. 2. Motor Way – Kanjanaphisek (Klong 5 / Lamlukka) 10 km. 3. MatayomSuksa School – NawaminRachuthit (SatriWittaya 2) 100 m.
5. Easy to drive to the main road to go NakornNayok Province, Minburi, and Rangsit. 1807ACL0457 Townhouse 2 story for SALE. Land area 16 sq.w. Located at Soi Sai-Mai 29 Sermsiri Village SaiMai Bangkhen Bangkok. Ready to move in, Townhouse width 4.3 m. depth 17 m. 4 Bedroom 2 Bathroom living room and Kitchen, free one air-conditioner and one car parking inside. North facing townhouse, good environment, children playground and exercise area available for people in the village, completed public utility and convenience transportation. Selling Price 1600000 Thai Baht. 1. Townhouse very closed to SaiMai Road only 200 m.
2. Public road inside the village width 10 m. Available for parking in front of townhouse. 3. Inside the village very clean with the service area for exercise. 3. Available with Convenience Store 7-11 only 10 m.
- BTS Phrom Phong 1.5 km. 1806ACL0108 Land Plot for SALE area 301.50sq.w. Land size: width 40 m. / length 35 m. closed to ThiprangsriVillagae and TOT local office – PunPin Branch. locatednear the road no. 401PunPin and far from main road – KM. 0 only 200 m. Situated at TaKarm, Punpin, Suratthani. Selling Price 1,900,000 Thai Baht. 1. Nice location, located in community. 2. Land width 40 m. on the road, face to North. 3. Far from main road only 200 m.
4. Lotus Supermarket PunPin 2km. floor 17th, ready to move in. - BTS Chong Nonsi 3 km. and BRT Chun 750 m.
- Central Rama3 490 m.
บ้าน พร้อม สำนักงาน พื้นที่ใช้สอย 200 ตรม. 1806ACL0352 Land and Business for SALE area 6-2-88 Rai. Situated at PongSanThong, Muang Lampang, Lampang Province included with 1 single house, office and factory. The land width 43.40 m. Depth 233.20 m.
Single House and Office – living area 200 sq.m. 3 Factories working space for 775 sq.m. / 474 sq.m. / 196 sq.m. included with the machine for produce plastic water tank and industry license that can continue the business. Land is the light purple color, the environment inside very nice and clean. Selling Price 18,000,000 Thai Baht. Selling Price 25,000,000 Thai Baht. included with machine. 1.Located from Highway Lampang – ChiangMai only 900 m.
2.This land near the route of Twin Track Railway Project Den Chai – ChiangMai, on plan to set up Lampang Province to be the center Logistic Hub of upper northern Thailand. 3.Interest buyer to be continue the business and get profit from plastic water tank business. 1. Institute for skill development region Lampang / Correctional Treatment Lampang.